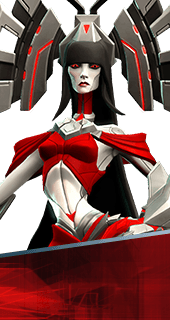 Sunspot is an Ability of Ambra in Battleborn. Summon a Sunspot that does 56 damage a second to nearby enemies at the cost of its own health, exploding if touched. 750 health. Up to 2 active at once. Enemies linked to a Sunspot take increased damage from other sources. This effect stacks across Sunspots. +10% Damage. Sunspots transfer their health to nearby allies, healing friendly Battleborn over time. +47 Health Per Second. Sunspots explode with a damaging area of effect when triggered by nearby enemies. Enemies are slowed when they break form a Sunspot's beam. +3 Second Slow. Increases the health of Ambra's Sunspots. +50% Sunspot Health.